A few minutes ago I received a very nice e-mail from a reader. I do not know the man personally but his words were very encouraging. It is always good to hear from all of you and many e-friendships have grown over the years since I started publishing this blog. When I published my first page in Spanish on October 10, 2004 I had no idea of how many people were going to read it and become close friends. I am blessed with a readership that extends all over the world, even people in Muslim countries read this modest blog, some articles have been translated to Portuguese, French, Russian, and other languages. A few articles have been selected for publication in magazines and other venues. For those who do not know, this modest ministry supports the webpages of two other very deserving Catholic missions. One is the Catholic Theology magazine published by the Centro Cultural Católico Fe y Razón of Montevideo, Uruguay. The Fe y Razón (Faith and Reason) magazine has been reaching thousands of readers since 2006. The other is the Obra Social Pablo VI a brave effort by a faithful Catholic group from Uruguay providing support to homeless families also in Montevideo, Uruguay. Their mission operates on a very tight (and insufficient) budget now. They really need to organize a steady fund raising office. I can assure you that OSP6 is a very deserving mission. Visit their page if you have a minute. I assure you none of these are your typical “Catholic” lay ministry where directors are paid six figure salaries for showing up on TV and say big words every once in a while. None of the people involved in directing these efforts collect any salary at all. So let us be clear, all of these efforts are financed with your small donations and at our personal expense, no one here is getting fat. I have decided to get myself busy working to find a way to create a U.S. based corporation dedicated to raise funds to produce serious Catholic content, and support the noble efforts of my friends from Uruguay who are in dire need of some help from more affluent parts of the world. In my last series of articles about Cultural Marxism I tried to explain how the forces of evil have been working to subvert all that is good and holy in the world. No one can deny their success unfortunately but we know they will not prevail in the end. Knowing that Our Lord promised us victory does not relieve us from fighting the battle. We can’t watch this happen from the comfort of our front porch. Today I am asking all of you to pray for this effort daily and ask Our Lord by the intercession of Our Blessed Mother to send us sponsors who can start our engine up, so to speak. The final operation is designed to be self sufficient and not solely depend on contributions. It is also going to be organized and registered as a for-profit corporation to avoid the many limitations and copious paperwork inherent to non-profit organizations. That will also allow us to disburse funds to deserving Catholic organizations such as Obra Social Pablo VI. Our work will produce Catholic content in various formats taking advantage of the latest low-cost technology. Production of this material is already in progress although our means are meager to say the least. What I need mainly is your prayers. I am beginning to realize that this is what I have been set aside to do. I am asking those of you who can afford it to make a sacrificial gift – it is Lent after all – or a monthly financial commitment of any size to help this effort get started… or both! Some of you have been regularly helping for some time. I ask you to prayerfully examine how much you can give monthly for one year and hit that Pay Pal icon on the upper right corner of this page. 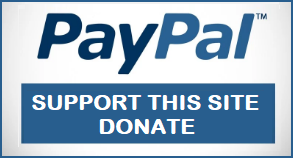 When you make your donation, please check the “recurring payment” box. It is much better for this cause to have some form of predictable donations flow because it helps to organize our work better. Some of you out there are financially affluent Catholics or know someone who is. I am asking those who can make a sizable contribution to contact me for more information. You can simply post a comment here. The comment will not be published and your contact information will not be disclosed to anyone. Our low estimate to help these three organizations during 2017-2018 is 300,000 US dollars. That includes a one time expense to relocate my office to the US and the necessary legal cost for registering a US Corporation. This is necessary to be able to operate freely without the myriads of constraints that plague this parts of the world where simply ordering or shipping a $5.00 book easily becomes a days long bureaucratic nightmare. Additionally we need to set up a small production team working on-line to help me with producing and editing books, apps, and other media products to teach the faith fast and accurately. We also need some of those who have the financial means, the time, and the business experience to seat for a time as directors of the corporation. More detailed information will be provided upon contact to those interested. I will post more information here in the days to come. This may take a long time or a short time but it will be done with God’s blessing. Thank you for taking the time to consider this appeal. Please keep us all in your prayers. Carlos, I will do everything I can to help out. This is a very worthy enterprise.